Here's an EXCLUSIVE message from AfterShock Comics. It features the Rough Riders (Teddy Roosevelt, Harry Houdini, Annie Oakley, Thomas Edison, Jack Johnson. and Monk Eastman) like you've never seen them before - in LIVE ACTION - with an URGENT announcement that you must see to believe! 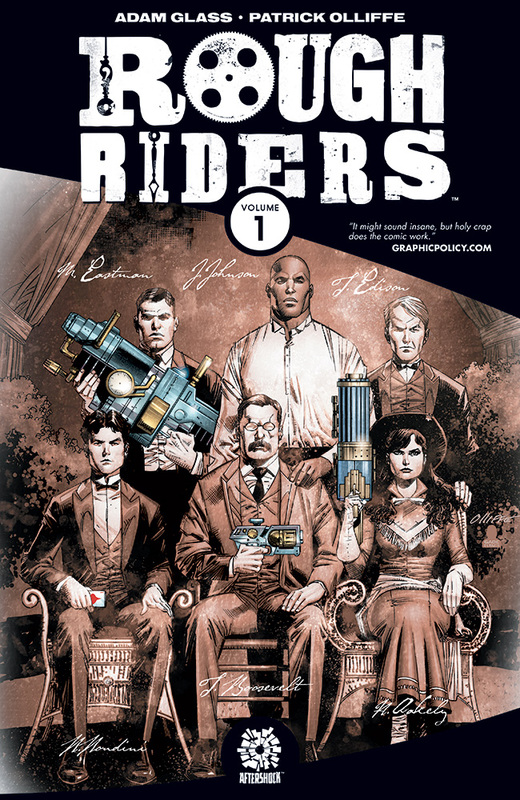 Don't forget to order Rough Riders Volume 1 before the end of the month. And as Roosevelt would say: "Bully to you all!"